I hope you've all heeded my menu planning advice, and at least attempted some meal planning. 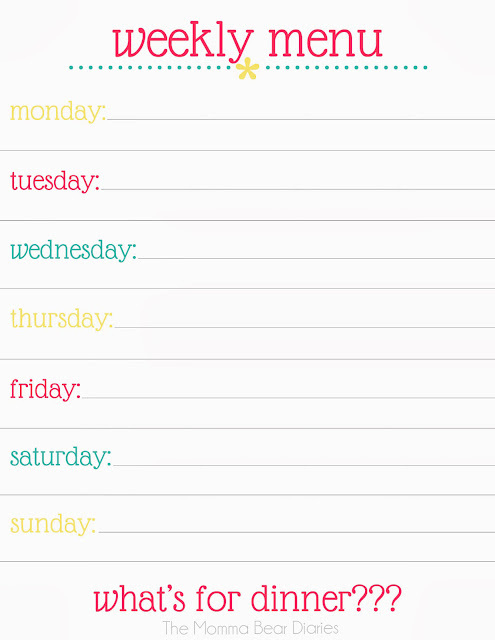 Truly, it's as easy as creating a pin board and dedicating just a sliver of time each week that will save you mounds of stress down the road. Yes, that's correct, I'm on my soap box on Monday morning no less. But really! This will make your life so!much!less!stressful! Still having trouble motivating yourself to menu plan? Perhaps, Tiffany's new printable will get you moving. Once again, my favorite designer has me giddy with this print. Be sure to stop by Tiffany's blog, The Momma Bear Diaries, to download this printable, learn more about her new menu plan linkup, Tasty Tuesdays, and show her a little love. Want one customized to your preferences? Just email her at tiffanykuehldesigns [at] gmail [dot] com (and for a small fee of $10) she'll whip up your custom weekly menu plan! 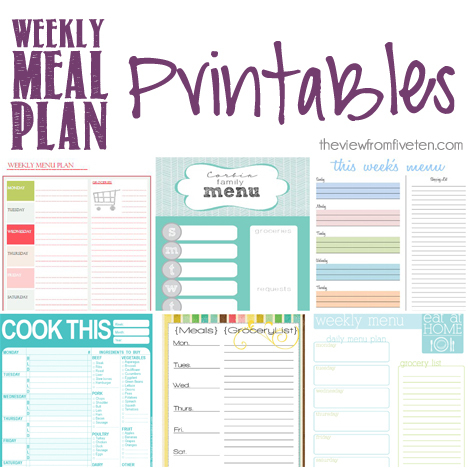 For more printable inspiration check out the best of free meal plans I've rounded up! Don't miss out on the Kiss the Cook Giveaway featuring a Rachael Ray Cookware package that will blow your mind!